I've talked to too many people who put off their travel dreams just because they haven't found a travel partner: The prospect of going alone sounds either too daunting or just not all that fun. But traveling on your own can be rewarding, vivid, and exhilarating — a gift from you to you. 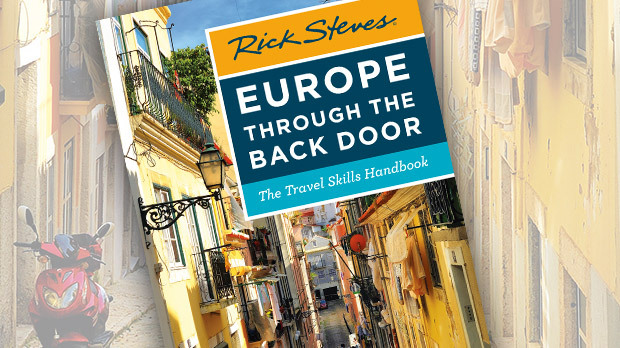 Prepared with a positive attitude and solid information, you'll thrive in Europe. And you'll come home stronger and more confident than ever before. Traveling solo certainly has its pros and cons — and for me, the pros far outweigh the cons. When you're on your own, you're independent and in control. You can travel at your own pace, do what interests you, eat where and when you like, and splurge where you want to splurge. You don't have to wait for your partner to pack up, and you can get the heck out of that stuffy museum when all the Monets start to blur together. Without a travel partner, you'll need to be extra aware of your surroundings. Use street smarts and walk purposefully. If you get lost in an unfriendly neighborhood, be savvy about whom you ask for help. Unless you're fluent in the language, you must accept that you won't always know what's happening. (Though it might seem worrisome, there's a reason why the Greek bus driver dropped you off in the middle of nowhere. It's a transfer point, and another bus will come along in a few minutes.) Don't be afraid to ask for help or clarification. You'll often discover that the locals are looking out for you. However, a healthy dose of skepticism and an eagle eye in crowded or isolated places will help you stay safe. For many people contemplating a solo trip, loneliness is their biggest fear. Fortunately, Europe is full of diverse people and natural meeting places. Traveling on your own, you'll be more approachable and likely to meet a montage of fun, temporary travel partners. If you're shy, you might also consider an organized European tour, where you can relinquish trip-planning to a well-seasoned guide and enjoy a built-in circle of fun travel partners. Seek opportunities to connect with people. Social-networking sites like Meetup make it easy to find groups of like-minded travelers and locals. If you stay at a hostel or guesthouse, you're likely to bond with other guests and sociable hosts. When out and about, skip the selfies — offer to take someone's picture, then ask them to return the favor. On the train, ask a friendly passenger about their travel plans and compare stories. Even the shortest conversation with other travelers can brighten a whole afternoon. Consider joining a group walking tour, where you'll learn about the city and engage with new vaga-buddies. 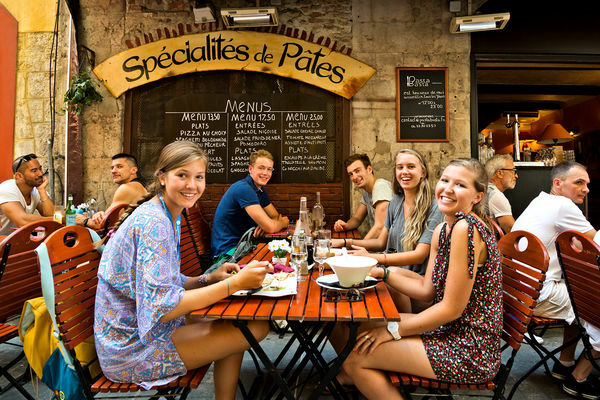 Many of Europe's unique meals are more fun to experience with others, and traveling on your own is no reason to miss out. Make them an excuse to invite someone to join you for, say, a rijsttafel dinner in the Netherlands, a smorgasbord in Scandinavia, fondue in Switzerland, a paella feast in Spain, or a spaghetti feed in an Italian trattoria. 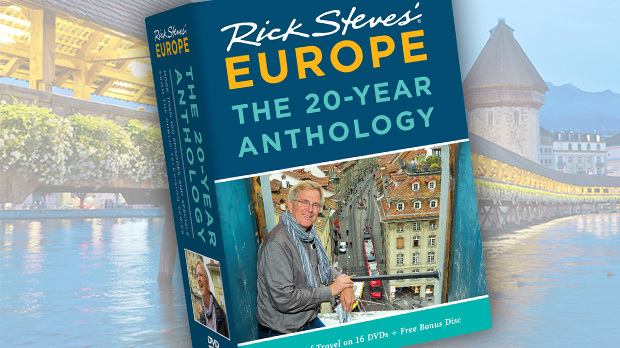 Another tip: Look for people with Rick Steves guidebooks. My readers are notoriously friendly, and many are happy to join a fellow explorer in a culinary adventure. Take advantage of time alone to learn more of the language. At restaurants, practice your verbal skills with the waitress (when I asked a French waiter if he had kids, he proudly showed me a picture of his twin girls). 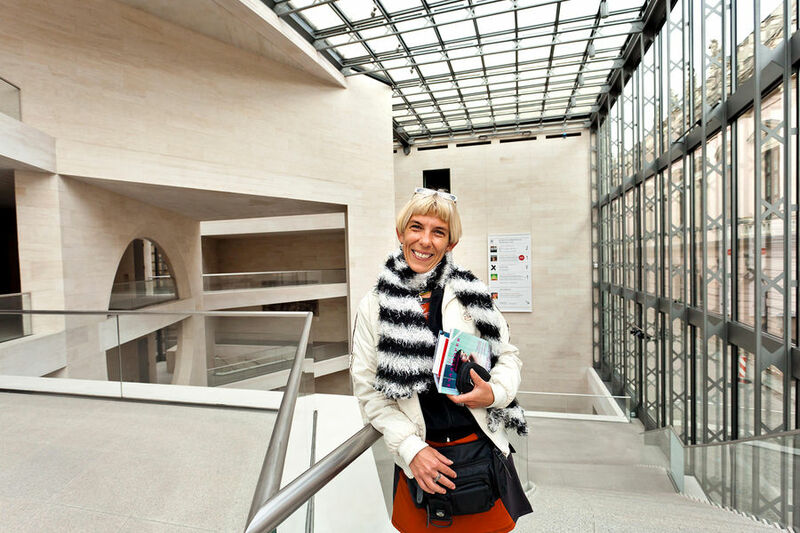 Plan your next day, study your guidebook, or scrawl a few postcards to the folks back home. If bars and nightclubs don't appeal to you as a solo traveler, enjoy the floodlit magic of European nightlife from a different angle. Go for a walk with gelato in hand and enjoy the parade of people, busy shops, and illuminated monuments. Take advantage of the wealth of evening entertainment: concerts, movies, puppet shows, and folk dancing. Some cities offer tours after dark. Paris is a delight to experience by evening river cruise. If you like to stay in at night, get a room with a balcony overlooking a square. You'll have a front-row seat to the best show in town. Go early to bed and be early to rise. Shop at a lively morning market for fresh rolls and join the locals for coffee. If one thing doesn't work out, something else will. There are other trains, other buses, other cities, other people. Thrive on optimism. Solo travel is intensely personal. Realizing that you have what it takes to be your own guide is a thrill known only to solo travelers. You will discover more about yourself at the same time you're discovering more about Europe.